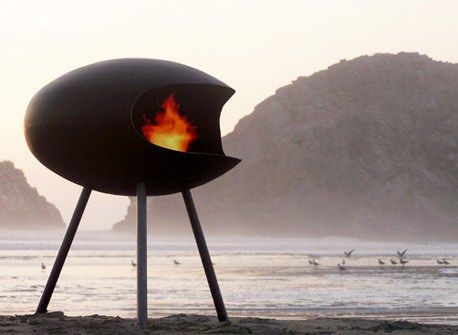 The Cocoon is a new innovative style of fire unlike anything you’ve seen before! We believe the quirky Cocoon Fires are going to make a big impact on Australian home makers when they discover the amazing possibilities for this new style of feature fireplace. It’s Cocoon Fires design simplicity that makes them so adaptable and attractive and will make a statement in any room. With the choice of matt black or mirror polished stainless steel finishes, Cocoon can be suited to any room. 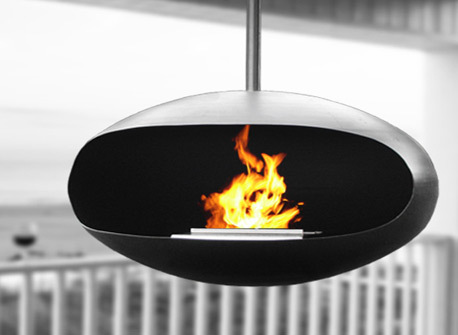 Compact dimensions, just 60cm diameter and available in freestanding or hanging formats mean that Cocoon Fires can be positioned in just about any indoor or outdoor location. Cocoon’s burner system is so easy to manage. 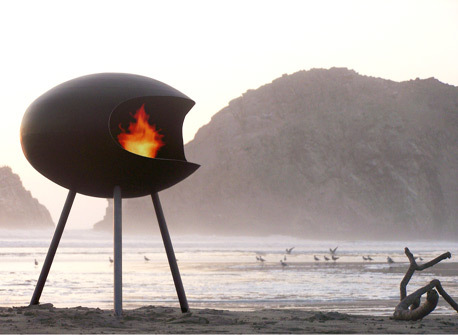 It can burn for up to five hours using environmentally sensitive Bio-fuels and emits less CO2 than two medium candles. There is a lot to like about this new fireplace. It’s full of character and will quickly brighten up any indoor or outdoor space.